Our mission is to mobilize the church to transform lives and communities in the name of Christ. LOVE Christian Clearinghouse offers the members of our partner churches the opportunity to be the hands and feet of Christ through direct contact with our callers. As an active Christian seeking a way to express your faith, consider a 3 hour a week volunteer 'job' at the Clearinghouse Call-In Center in Westmont. Together we will explore how your gifts can help someone in need, while nourishing your own spirit. 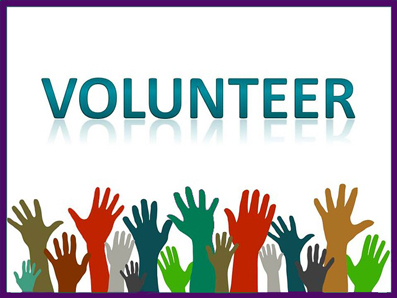 The Clearinghouse has many volunteer opportunties...which one is calling you? USE the Volunteer form to register to volunteer. Listen to our callers, complete an assessment form and share the LOVE of CHRIST over the phone! This position also provides the opportunity to learn about area social services and agencies available to assist our callers. This is a weekly committment, with time off for vacation and grandkids'/childrens' soccer practice! Help keep the office organized: light reception work: taking phone messages, helping with mailings. Run a near-by errand; help with yard work or visit in a nursing home for an hour when it fits into your schedule. Attend a 1 hour training session to register to participate. Be a classroom helper each week from September to May at Village Green Baptist Church in Glen Ellyn to encourage participant to learn basic english and living skills.